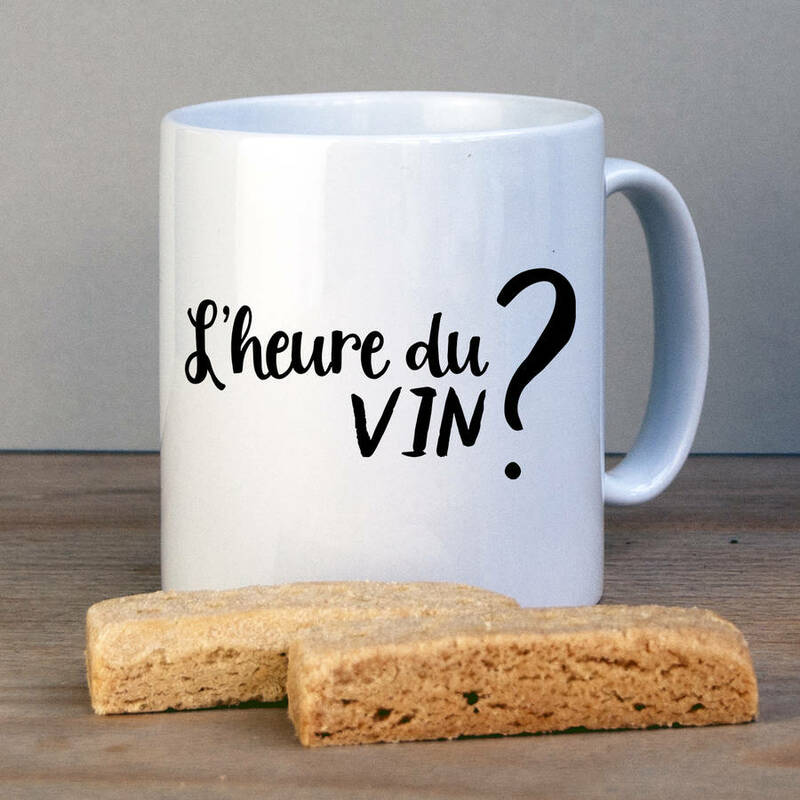 This mug makes a perfect best friend gift - sophisticated French but with a clear message for your best friend...It's time for Wine! This is bound to raise a smile on your best friend's face in having such a cheeky friend. It features the phrase "L'heure du vin?" and will, of course, prompt the response "It's always time for wine". 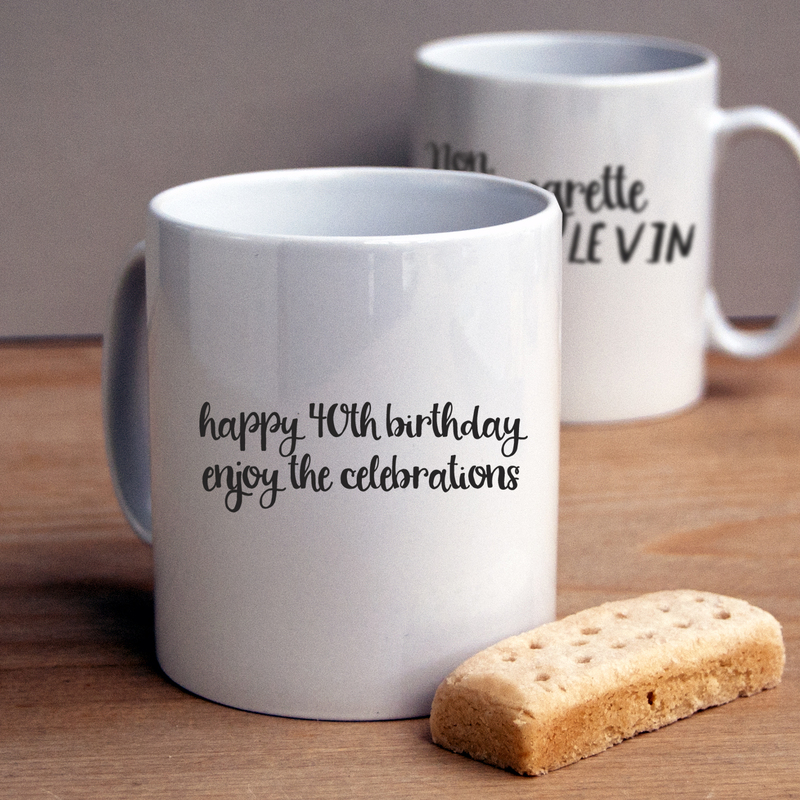 To make this even more special you can personalise the back of the mug with your own message for your friend.